The Dirty Vegan is making a MAJOR announcement on Saturday, January 22nd! I will be announcing this here on my blog first, then later on Twitter and Facebook. Please get psyched all you Naughty People, this one will be good! I may even drop a few hints here and there, in the posts leading up to it, so pay attention and stay tuned. And for now, the Dirty Vegan is signing off. Let's Talk About Vegan Food Products! Edward & Sons swag...Oh my! I just received a huge and generous package from Edward & Sons (thank you guys! you are awesome!) and I would like to talk a little about their products and give you some ideas on how to use them. Also, please stay tuned to this blog because I am conjuring up some recipes to post here, using some of these products. Just a quick thought is a vegan version of Almond Joy candy, using Edward & Sons coconut flakes, but we will see, I still have to create that, so it will take me a little time to experiment with what works and tastes the best. Coconut Flakes - what can't you do with these?! Use them for baking, to sprinkle in your cereal or oatmeal (try the flakes in one of my archived recipes like Dirty Vegan's Tropical Oatmeal), in Edward & Sons Coconutty Granola Recipe on the bag, or eat it straight from the bag, this stuff is so darn yummy! The possibilities are endless with big chunky, fresh tasting coconut flakes like these. Best part is that they are organic and free of sugar or additives. What you see is what you get. Also, comes in a resealable bag. Sweet! Coconut Flour - I absolutely love coconut flour! It is high in fiber and just so much better for you than white flour. Use this in baking or any recipe where flour is called for. Whenever I bake muffins, scones, or anything with coconut flour, I feel satisfied but in a healthy way and never in a guilty way. I like that coconut flour doesn't leave you feeling as heavy as maybe rice or wheat flour can. Also, comes in a resealable bag. Sweet! Coconut Water - there is nothing more hydrating and refreshing than coconut water, in my opinion. This stuff is packed with vital nutrients and electrolytes, so it is great for athletes or for anyone who wants to rehydrate. I personally drink this stuff when I am feeling sick, also, and it helps me to feel revived. It has helped relieve me of nausea in the past. You can drink this right from the can, and being in a can makes it extremely convenient, while locking in the nutrients since the light cannot penetrate the container. Also, coconut water is great to add to a smoothie, slushy, or blender drink, to add some extra nutrients to it. This is also organic and made from young coconuts. Creamed Coconut - Woweee I cannot wait to play around in the kitchen with this stuff! This organic creamed coconut is to be added to hot water to replace the dairy or coconut milk that is called for in recipes. You can use this in creamy soups, curries (like Penang), stews, smoothies, daiquiris (I am the "Dirty" Vegan, remember? 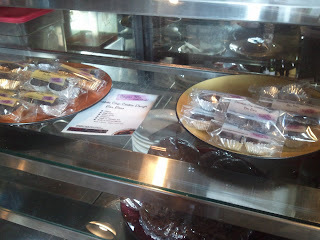 ), ambrosia, and other dessert recipes. Again, I cannot wait to concoct or veganize a recipe using this stuff, and share with you guys. Organic Tapioca Starch - Amazing! You can use this in place of cornstarch (which is great for anyone who is sensitive to corn or avoiding GMOs, since most corn in America is genetically modified/ engineered, and that is a topic for another post). So many baking and cooking possibilities for this one. You better believe I will be using this product soon and posting about it. Matter of fact, I wanted to make a recipe that called for cornstarch the other day, however had none. Now I have tapioca starch to use, even better! Fruti Bear Gummies - OMG gone are the days where vegans had to go without gummy bears at the movie theaters! You can fit these bad boys in your purse (or pocket, they come in little individually wrapped pouches) and enjoy a candy treat wherever you go. Best part; organic and made with organic juices. I am in love. Fruiti Bear Sour Gummies - Same thing that I said about the above gummies, however these have a nice sweet and sour coating. Delightful! Reminiscent of Sour Patch Kids candies, however these are better! They are healthy. You can have your gummies and eat them too, kids. Rice Toast Crackers - These are amazing. They are yummy, light, contain protein and iron; what else could you possibly ask for in a snack? Top these yummy squares with any vegan thing your heart desires. Dirty Idea: melt Daiya cheese, or make queso with Daiya cheese, top or dip with. These are really good plain too. Lot's of ideas, will have to post some New Year's Eve hor dourve ideas for you guys. Stay tuned. Miso Cup Soup - I am so in love with this stuff. Absolutely the best miso soup out there. Talk about easy too. Really, just add hot water. I make myself to-go mugs of this stuff. I add it to other recipes that call for broth, when I want to add a little extra oomph. The perfect miso soup. Made from organic miso and comes with 3 individual servings per pouch, you really can't go wrong. 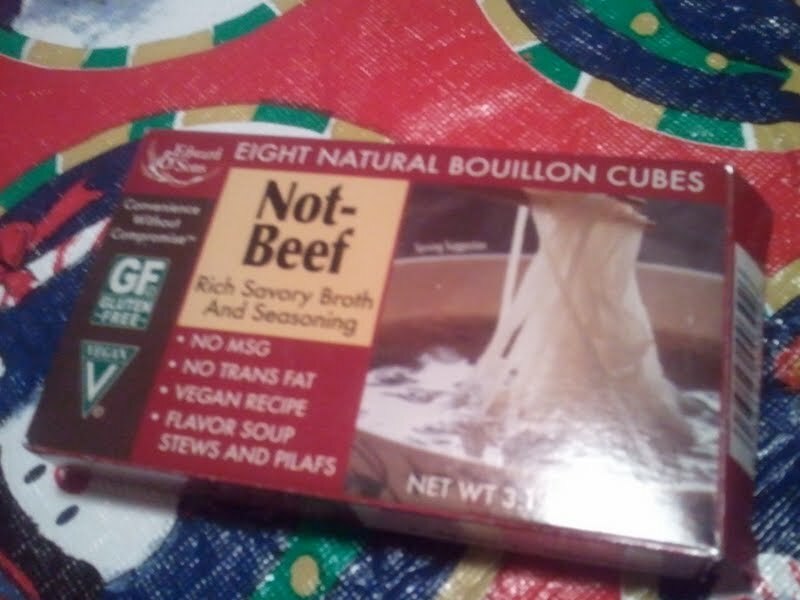 Bouillon Cubes in Garden Veggie, Not-Beef, Not-Chick'n, and Low Sodium Veggie - I talked about these bouillon cubes in one of my recent posts, and I will shout it from the mountains; I love these! The value is amazing, 8 cubes per package, each cube is individually wrapped. I add these to a lot. 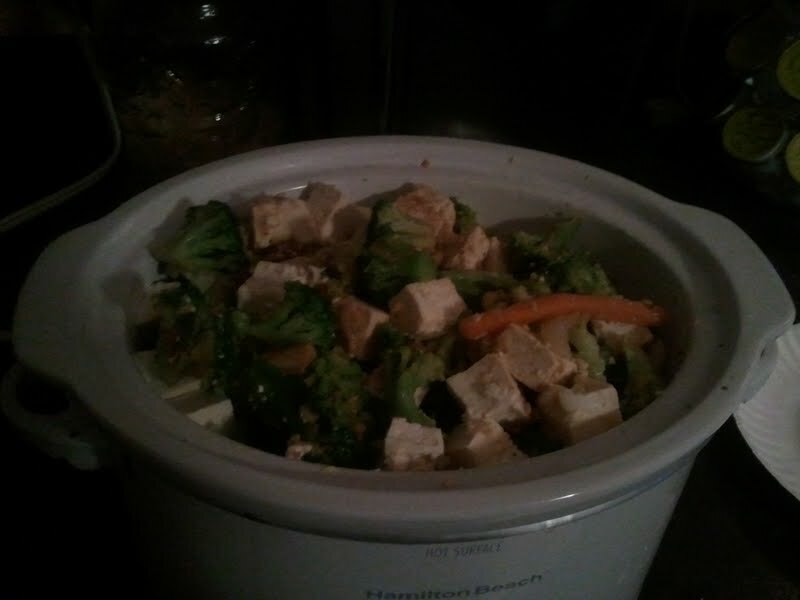 Soups, stir-fry dishes (Crockpot Stir-fry Recipe), stews, and any other vegan recipe calling for broth or bouillon cube. I make an awesome soup that I use these in and I will share it with everyone really soon. The flavors in these cubes are excellent and spot on! I have loved Edward & Sons for such a long time, and continue enjoying all of the new products that they come out with. 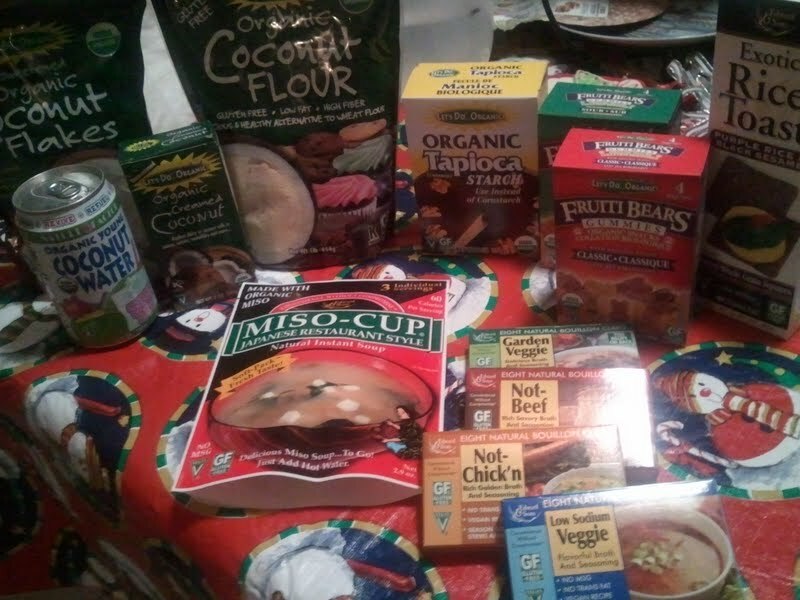 As you can see, mostly all of their goodies are organic (look for their Let's Do Organic line) and are all natural. You can find their products at Whole Foods, health food stores, and in the grocery store (try the natural isle if you have trouble finding it). Also, in the beginning of this post you will find a link to their website. These products are perfect for the Dirty Vegans out there because they make life easier and naughtier, while still being healthy and cruelty free. You just can't beat that! And for now, the Dirty Vegan is signing off. You would be surprised to know the intricacies of turkey life. I say surprised, because not many people realize just how intelligent and fascinating a turkey really is. Just like all other creatures, turkeys have unique habits and behaviors that make them stand out from other birds. I really like this article containing a list of the 10 most fascinating turkey facts, from the Farm Sanctuary. Also, there is a video in this article featuring Susie Coston, National Shelter Director, who takes amazing care of the lovely animals at the Farm Sanctuary in Watkins Glen, NY. I really think you will love this article and video! Just take a look at the cute waddle on those turkeys! They melt my heart! Click for fun turkey facts and video! Enjoy! Have you seen anyone more fabulous and full of life, than a vegetarian, particularly, a vegan? You may look at some celebrities who are not veggie and think they are gorgeous looking, but when you really look at people and become perceptive after doing this thing for so many years, you see that they look worn. They typically look older than they should look. However, vegans tend to look much younger and wear their age extremely well, don't they? 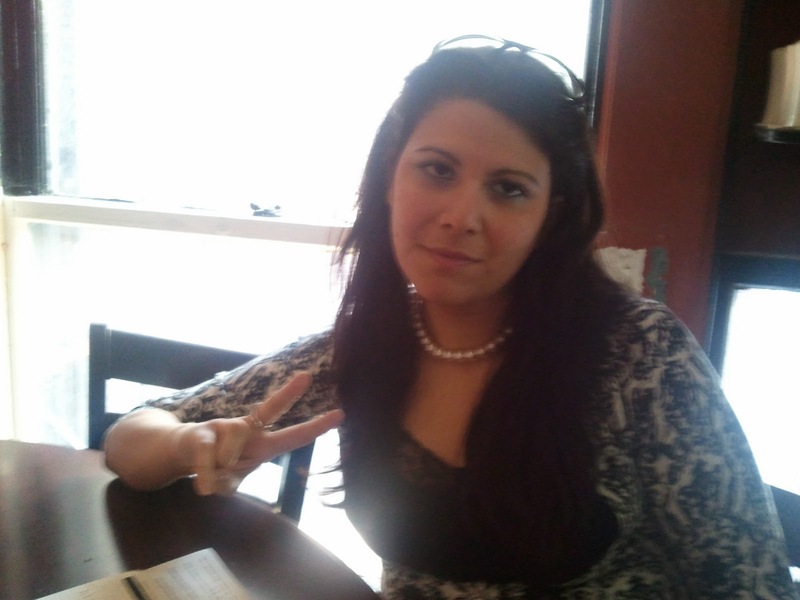 I get mistaken for a high schooler all the time and I am in my late 20s! Veggie Badass! Looks fabulous and full of youth, especially for her age. Kind Vegan. Looks the same as her Aerosmith music video and Clueless days! Wowzers! Practically Ageless Vegetarian! Look at that glow! Activist Multi-tasker Vegan! Gives off great vibes and spirit! Forever Young Vegan! Looks amazing always, and makes a line of vegan shoes! Some other rumored vegetarian celebs include Fiona Apple, Pam Anderson, and Reese Witherspoon, just to name a few. There are and have been so many famous vegetarian people in history. The general public must have missed the memo. I would advise society to get on the bandwagon, because let's face it, you are not getting any younger! And for now, the Dirty Vegan is signing off. This is just minutes after putting this all together, and it already looks delicious! Edward & Sons makes great bouillon cubes in flavors like Not-beef and Not-chicken, among many others! Serve over your favorite rice. Enjoy! This recipe is so easy and convenient. You can put it together so quickly and just let it cook itself in your slow-cooker. You can use leftover rice or minute rice to make this meal even more convenient. Newbury Street in Boston: Fabulous Vegan Fun! 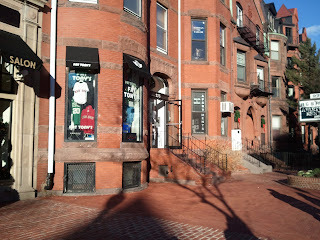 If you have never been to Newbury Street in Boston, Massachusetts, you are really missing out. From the chic designer boutiques, trendy cafes, delicious dining, to the spas, salons, and bath and body shops, Newbury Street is your one stop shop for fabulous. Beginning at Betsey Johnson, I scored some cute pink lace tights and some useful vegan advice from a very helpful sales professional. I raved about the vegan friendly fashion at Betsey Johnson boutique (has some cute non-leather handbags and tons of vegan friendly items), and the saleswoman sang like a canary. I totally got the scoop on where to find the best vegan stuff on Newbury, and she was such a cool chick! She also mentioned the Hempest, but she obviously doesn't know the Dirty Vegan very well. While the Hempest's vegan and natural fashions are all well and good, it really isn't what I was looking for in terms of couture. Next stop, Juicy Couture's chic boutique (yay I rhyme!). Juicy has really expanded their vegan options over the years. And the more you buy them, the more they will sell them. They had the cutest fleece hoodie that was so soft you would swear some innocent bunny lost his life over it...WRONG....all man made materials! They even have some canvas and pleather handbags and accessories. If you like something trendy at one of these boutiques, be sure that no animals had to suffer for your happiness (which is BAD karma), and make your values known in the stores. Trust me, it will get around. Lead by example...and your platinum charge card! If these stores sell enough of something man-made, they will make more like-items. I wouldn't be the Dirty Vegan if I didn't eat every few minutes; that just wouldn't be me. 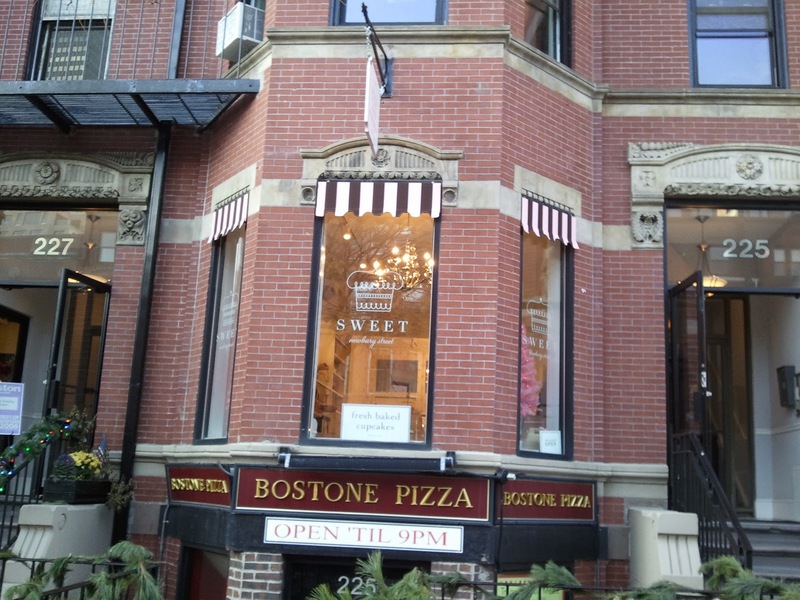 One of the many beneficial tips from Betsey Johnson's sales gal, was a bakery called Sweet Newbury Street. 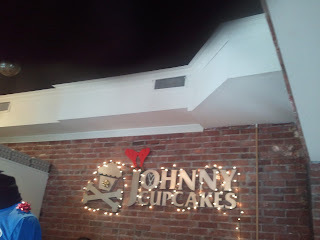 They have some vegan options for cupcakes and select goodies. 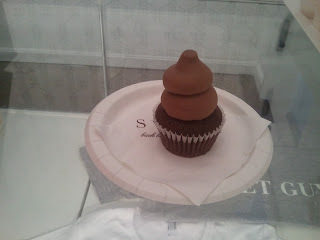 I enjoyed this yummy Vegan Chocolate Cupcake. The frosting was OUT OF THIS WORLD! Best vegan icing I have ever tasted. Rich, creamy, sweet, and perfect. The nice gal who worked there also helped me take the photo and was really cool. Too bad the whole bakery wasn't vegan...I would have purchased so much more! If you would like to be beautiful on Newbury Street, there are several cruelty free options. MAC Cosmetics does not test on animals and has great stuff. Also, my personal favorite, Lush! Lush stuff is all natural, handmade, and mostly organic and vegan. Lush does not test on animals. Trust me, once you step foot in a Lush store, you will be addicted, I don't even have to go any further with it, just trust me. 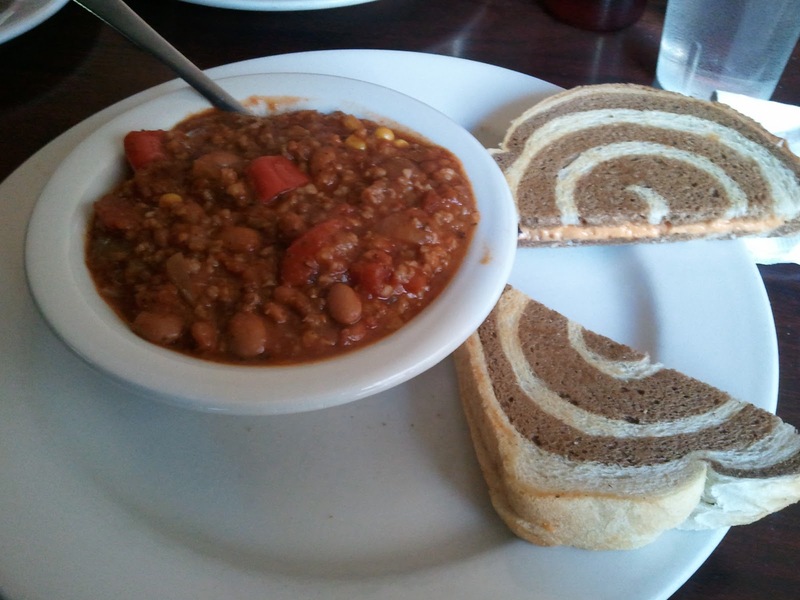 After a long day of shopping out in the cold (burning mega calories, I assume), it was time for lunch. Newbury Street eateries have vegan options in almost every single one. Boloco is a fresh burrito joint that will make yummy burritos however you like them. Lots of vegetarian options right there. 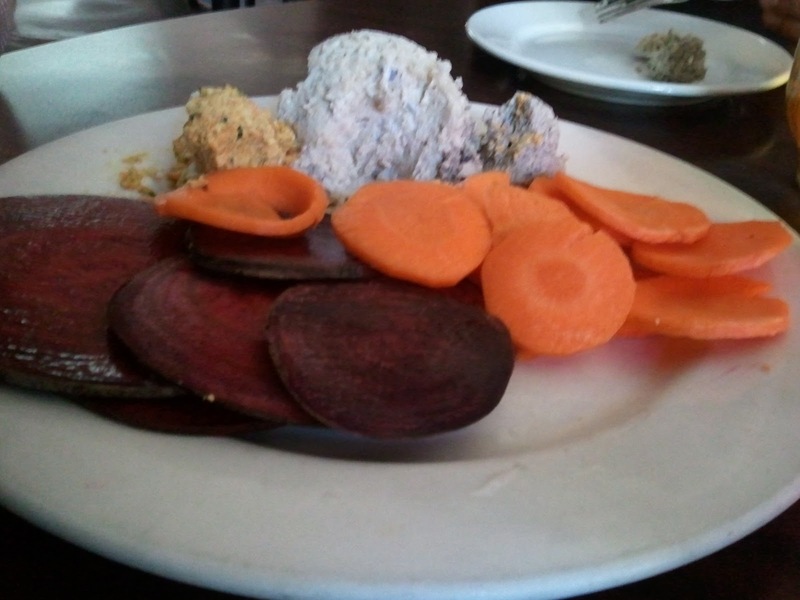 Thai Basil is a Thai restaurant that has amazing veggie options and a nice chill atmosphere. It is a hidden gem since it is lower street level, so look for it. I have eaten on Newbury so many times, and have found vegan options at each restaurant I tried, so please don't fear. If you don't see something already made vegan on the menu, just ask and most likely you will receive. Give Peas (and Peace) a Chance! We finally decided on Other Side Cafe. Super trendy bar and restaurant located on...wait for it...the other side of Newbury. The atmosphere is chill, anti-establishment, and very rock-n-roll. The music is awesome too. The food is even better! Pretty much everything on their menu can be made vegan (little "v" next to things that they can make vegan). They make vegan BLTs, grilled cheese, chili, raw dishes, and tons of vegan desserts! The desserts range from bon bons, cheesecake, to delectable chocolate mousse. This place is truly amazing and has something for everyone. 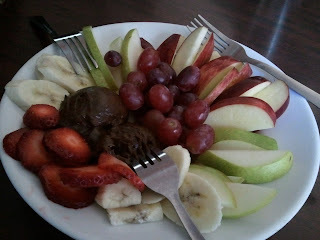 Vegan Chocolate Mousse fruit plate - AMAZING!